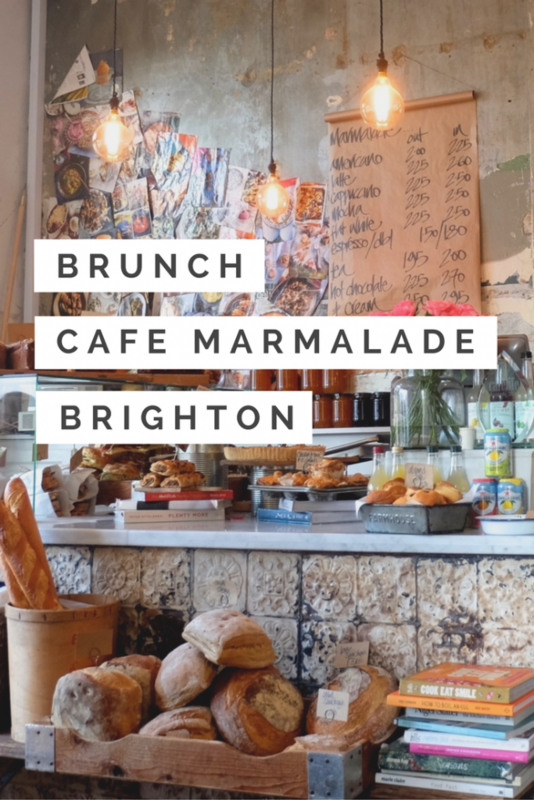 I hate Marmalade, except when in Brighton where I simply can’t get enough of it; not the jarred orange stuff but a cute corner café serving up homely food in a simple, yet beautiful, environment. I try not to go to a place more than once as I have this constant fear that I am running out of time to experience everything, however there is always an exception to every rule. Last year whilst in Brighton for the tattoo convention we stumbled across this little eatery as it was around the corner from the campsite, one year on and we end up doing almost exactly the same trip but a little chillier and for a day longer. I love staying in our little Mazda Bongo, but already having the cold then sleeping in the lowest temperatures that we have experienced camping and then being told that the showers were closed in the morning meant I was in serious need of a strong coffee to warm and wake me up. We intended to go further afield but, running on empty and with my tendency to get severely hangry, we made a beeline our favourite old haunt. 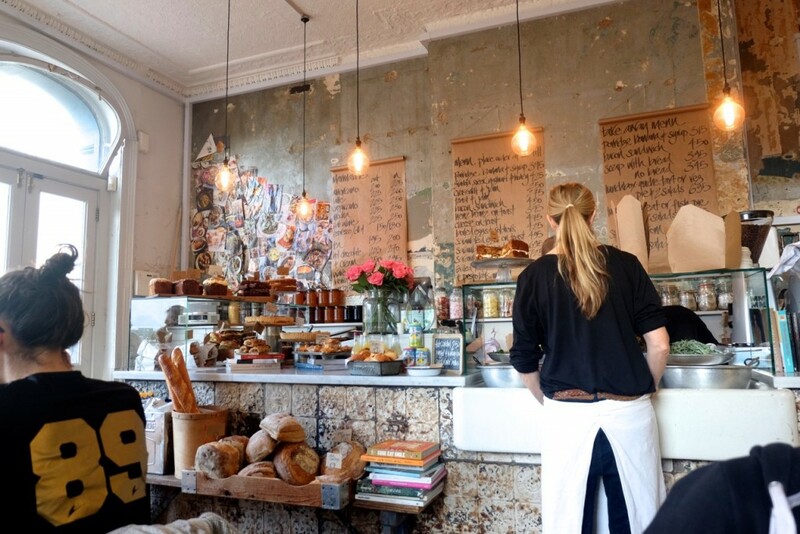 Through the large glass windows we could see that the café had not lost its appeal, even on a Friday morning it was packed with locals enjoying a leisurely brunch. Opening the door I remember why I loved this place so much, instantly we were greeted by rows of fresh sandwiches, cakes and salads to salivate over, as well as a busy (but cheery) waitress who welcomed us and told us to grab a seat wherever we could find one. 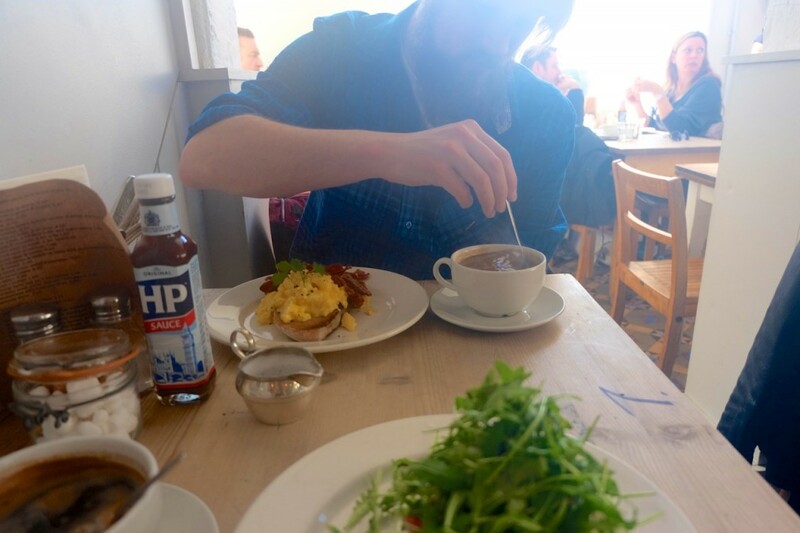 The menus are both scrawled on brown paper on the wall and printed on A4 versions; after a quick glance at the choices my boyfriend’s eyes met with mine and we simultaneously, and enthusiastically said, “eggs”. I know this is a little weird but it had dawned on both of us that here was the place that cooked up some of the best scrambled eggs that we had ever consumed. Calming down from this revelation we sensibly decided to share two options, just in case the eggs were not as miraculous as we had remembered. Sipping on a large black coffee I began to feel rejuvenated, not only by the caffeine but by the energy of our environment and the incredibly personable staff. The setting is rustic and simplistic, but not in a poncey way; the distressed, yet well put together surroundings have charm and create a comforting feel, like how I imaging visiting your posh aunt in the country would feel like. 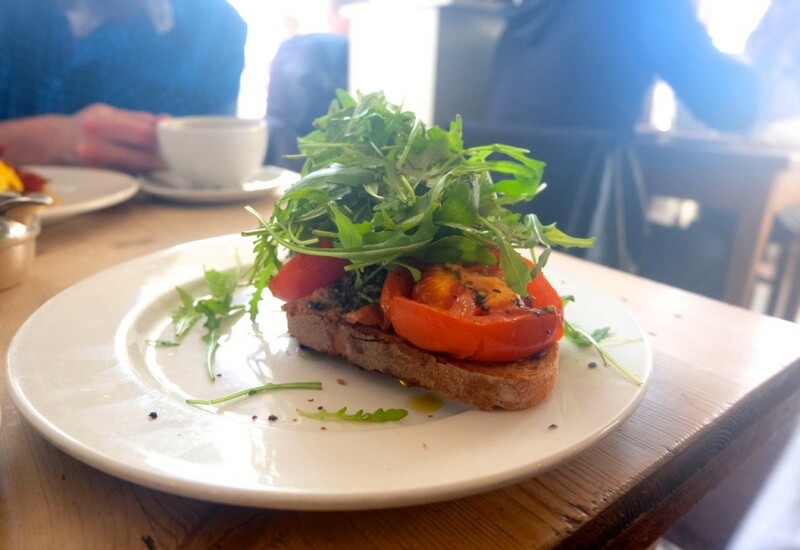 The scrambled eggs on toast arrived at our table, one accompanied with tomato and rocket, the other with bacon. We quickly switched half of each and enthusiastically tucked in (minus the bacon for me). 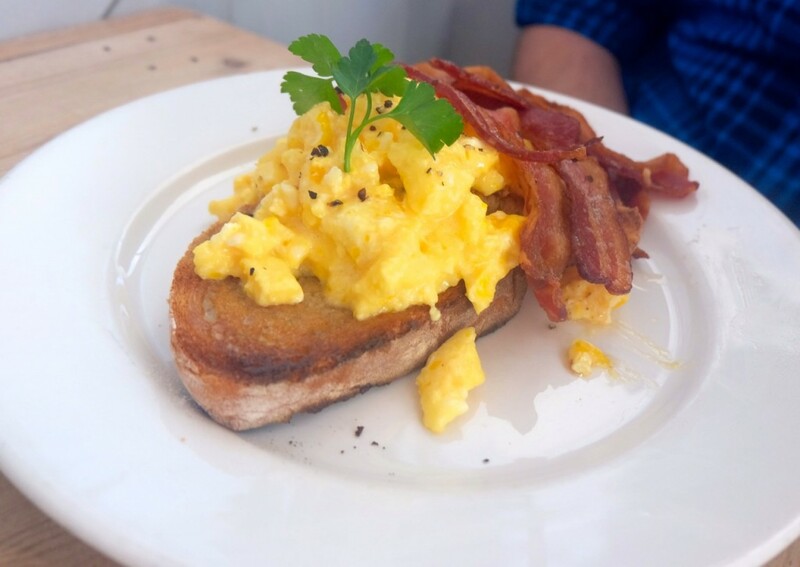 Thankfully our memories had served us well and they were indeed some great eggs, done in the slow, moist French style paired with rustic bread with the perfect amount of crunch. The tomatoes and rocket were generously stacked and a delicious partner to our (now much hyped) eggs. We enjoyed our breakfast so much that I am only slightly ashamed to admit the we returned and shared eggs (with another options) for the next three mornings, as well as grabbing some croissants for the trip home. 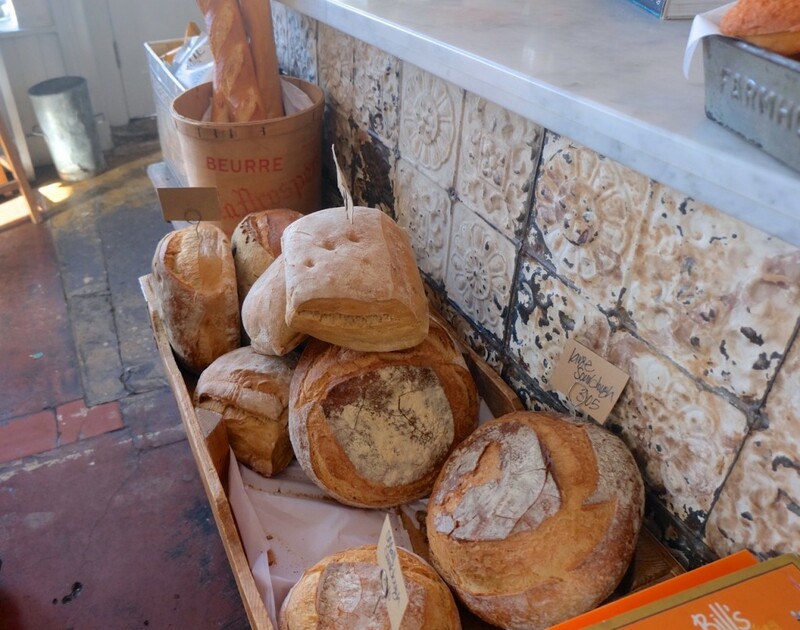 If you not as obsessed with breakfast food as me there is a full menu consisting mainly of super fresh quiches, sandwiches and salads as well as many cakes if you have more a sweet tooth. 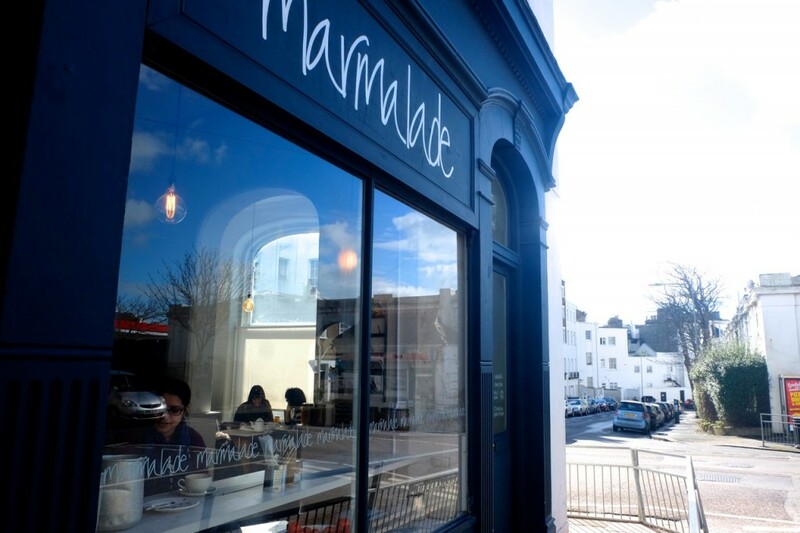 Marmalade is the sort of place that I love, it is simple but creates high standard fresh food and service, made with passion and personality. 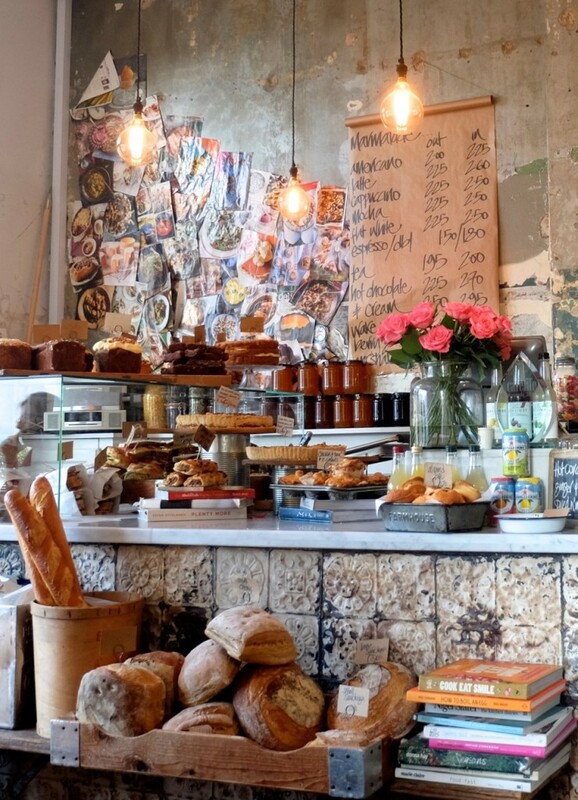 Many places strive to be like this little café, but it is a rarity to find one with such authenticity. It is so Pinterestible! Brighton is one of my favourite little getaways even though it is usually really rainy when I visit it is always fun. This place reminds me of a restaurant we have here in Birmingham called Urban Standard. 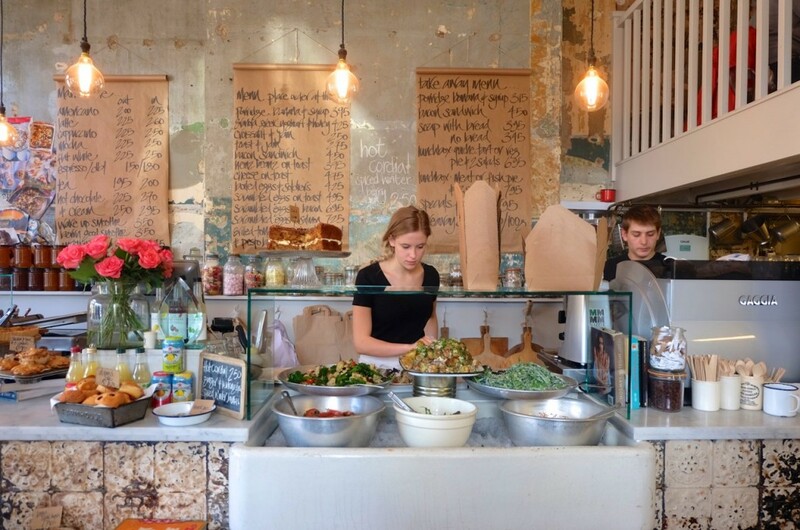 They do sandwiches, salads, and all different kind of fresh foods. It’s been a popular place for people to go.